From our everyday operations to major capital investments, Abu Dhabi Ports commits to adopting globally acknowledged best practices to protect our environment. We minimise potential negative impacts by reducing air emissions, pollution and waste – and by improving water quality and conserving natural resources across our ports and facilities. At Abu Dhabi Ports, we deeply care for the environment – both onshore and offshore. Our efforts are fully aligned with Abu Dhabi Regulatory Authorities, and national and international rules and regulations. Way back in 2011, we were accredited with the ISO 14001:2004, the international standard for environmental management systems. By using the latest green technologies and practices, we protect Ras Ghanada, the region’s largest coral reef and sea meadows adjacent to the new Khalifa Port and Industrial Zone – our flagship entity, presently under long-term construction. To ensure a cohesive approach as part of our HSE policy, Abu Dhabi Ports implements an Operational Excellence Management System to identify and manage risks and to improve reliability and safety across all operations. We continuously enhance and modernise our projects and cultivate the development of innovative technologies to ensure a brighter future for our planet. Through a multi-pronged approach, we totally align with the aspirations of Abu Dhabi Government’s 2030 Economic Vision to protect and conserve the environment around our ports and facilities for a sustainable future – for all of us. Over two years, we conducted an environmental numerical modelling study, which is regarded as the most extensive of its kind in the region. As a result, we took a decision to protect our marine ecosystem and built the entire Khalifa Port Terminal quay 4.6 kms offshore. 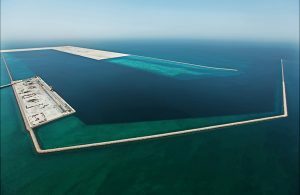 We also constructed an AED 900 million Environmental Breakwater (EBW) around the port island and beyond to protect the corals during development and operational phase. The port connects onshore through two causeways – the first and third longest bridges in the country. The design minimised the impact on water quality of the marine environment/habitats in the area. Using the right materials, the construction was undertaken in a sensitive manner through a construction sequencing system to limit environmental risks. Besides adopting best design and construction practices, Abu Dhabi Ports continues to be highly committed to protecting the marine life at Ras Ghanada through scientific monitoring. Since the past 10 years, we had visiting US marine experts independently conduct quarterly surveys. 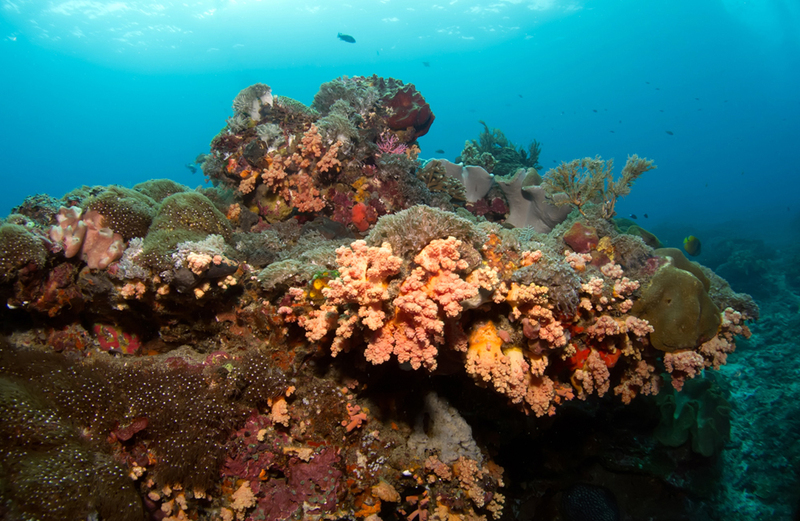 Their reports confirm that the marine eco-system continues to thrive due to the EBW and our other environmental protection practices. Abu Dhabi Ports has developed and implemented an Air Quality Management Programme, in accordance with the requirements and standards of the Environmental Agency – Abu Dhabi (EAD) and the Urban Planning Council (UPC) in association with Norwegian Institute for Air Research (NILU). The main goal is to safeguard public health and the environment by preventing and reducing air pollution throughout the development, construction and operational phases of Khalifa Port and KIZAD. The main purpose of Emission Inventory (EI) is to establish the baseline and identify the relative importance of different source categories within the area. The EI includes projections from 2015 to 2020 to assist in the modelling and forecasting of future air quality. 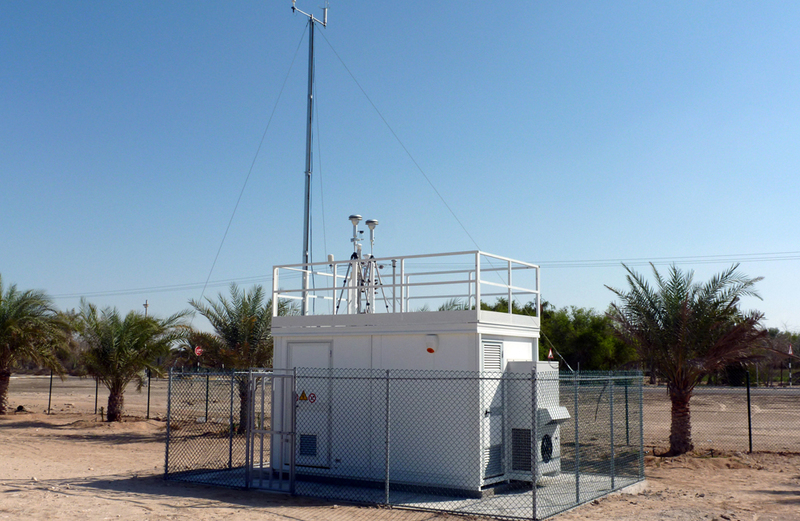 We established air quality monitoring stations at two locations – the industrial zone area and the port. Atmospheric dispersion modelling is used to determine if existing or proposed new industrial facilities are – or will be – in compliance with the Federal/local ambient air quality standards. The models also assist us in designing effective control strategies to reduce emissions of harmful air pollutants. The real-time data is directly accessed by EAD to ensure air quality compliance at all times and to provide data to interested parties on request. The Seawater Quality Monitoring Programme was established to ensure environmentally safe seawater effluent discharge and ambient marine water quality. 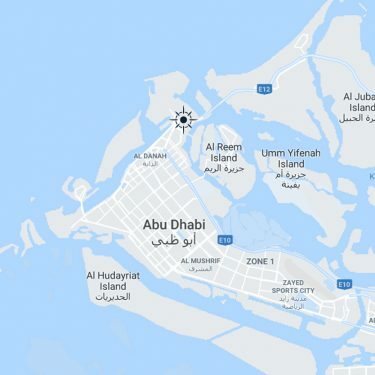 Abu Dhabi Ports has installed continuous online water quality monitoring stations at the seawater intake and discharge areas, besides at Ras Ghanada. Abu Dhabi Ports Waste Management Plan, approved by the Department of Transport in Abu Dhabi (DoT), sets out the overall strategy for our ports and facilities. The primary focus is to develop a comprehensive understanding of the types and quantities of waste received from vessels and generated by port operations, including from all resident and non-resident stakeholders.